On 2 September 1753, Marie Josephine, daughter of the Italian Crown Prince Victor Amadeus Of Savoy and his wife the Infanta Maria Antonia Ferdinanda of Spain, was born in the Royal Palace of Turin. The little girl had a privileged childhood, and was raised to become the wife of some important prince. That prince turned out to be the Louis Stanislas of France, Count of Provence and King Louis XVI’s younger brother. The couple was married on 14 May 1771 at Versailles, in a magnificent ceremony attended by more than 500 guests. 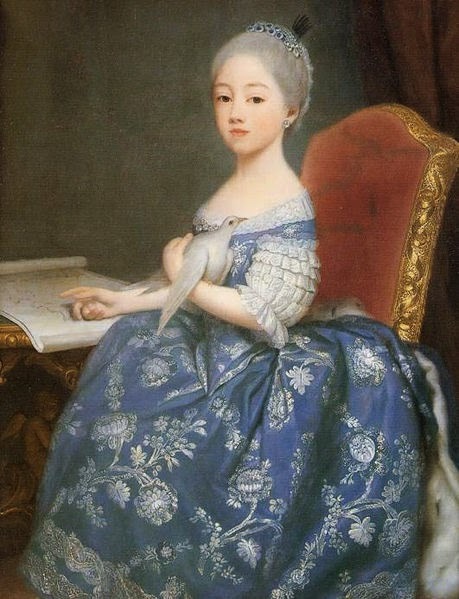 The marriage had been arranged with the help of the Princess de Lamballe, a cousin of Marie Josephine. The alliance between the two royal houses was further strengthened by two more marriages. 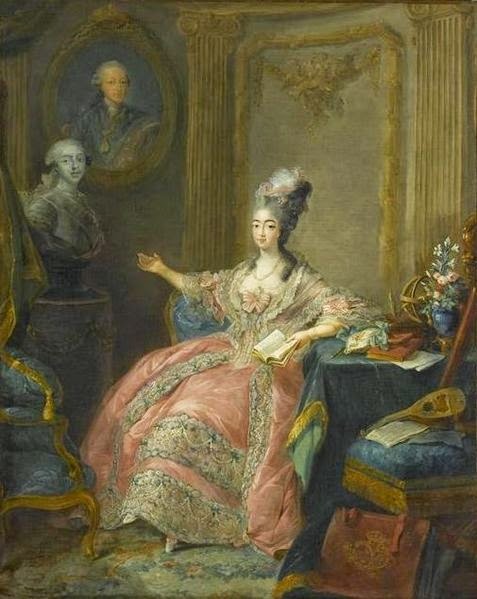 Louis XVI’s sister Clotilde married Prince Charles Emmanuel of Savoy, Marie Josephine’s brother and heir to the throne. His brother, the Count of Artois, instead, married Maria Teresa, Marie Josephine’s younger sister. Therefore, soon a Piedmontese party was formed at the French court, and a rivalry with Queen Marie Antoinette and her party soon emerged. Marie Josephine would spend hours gossiping about the Queen, spreading absurd and exaggerated stories that were, however, believed by many. It’s unfortunate the sisters-in-law couldn’t get along better, because Marie Josephine was given a hard time at the French court too. 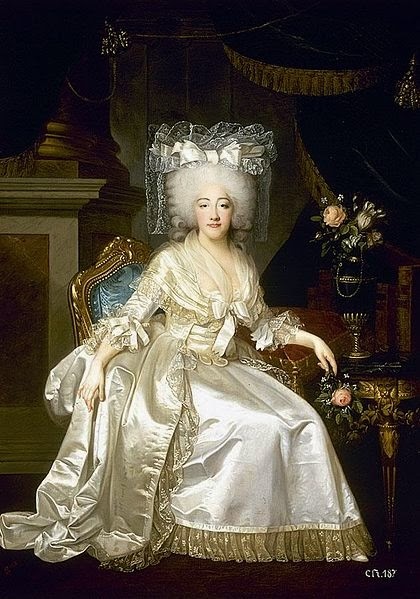 She was considered ugly, boring, stupid, and totally ignorant of the customs and etiquette that regulated life at Versailles. Her husband was said to be repulsed by her, and vicious gossip spread that he avoided her bed because of her lack of personal hygiene (apparently she disliked bathing, never used perfumes, and didn’t even brush her teeth) and the stench that emanated from her body. If the Count of Provence really felt such a profound dislike towards his wife, he was able to overcome it and do his duty. In 1774, Marie Josephine fell pregnant, but lost the child. Her second pregnancy, in 1781, also ended in a miscarriage. The couple remained childless. Life at Versailles, though, went on as usual, with the couple trying, at every opportunity, to prove they were better suited to rule than Louis XVI and Marie Antoinette. Life changed when, on 5 October 1789, women marched on Versailles demanding the King and his family move to Paris. While the King, Queen, and their children settled at the Tuileries, Marie Josephine and her husband resided at the Luxembourg Palace. When things took even a worse turn, the whole family attempted to escape. While Louis XVI and his family were caught at Varenne and sent back to Paris, the Count and Countess of Provence managed to reach the Austrian Netherlands safely. The couple later moved to Germany, but exile didn’t bring them closer together. On the contrary, they fought all the time. After the deaths of Louis XVI and his son, Louis XVII, the Count of Provence was proclaimed by the exiled court King Of France. Marie Josephine was now Queen, but this new development did nothing to reconcile the couple, and the two spent more and more time apart. 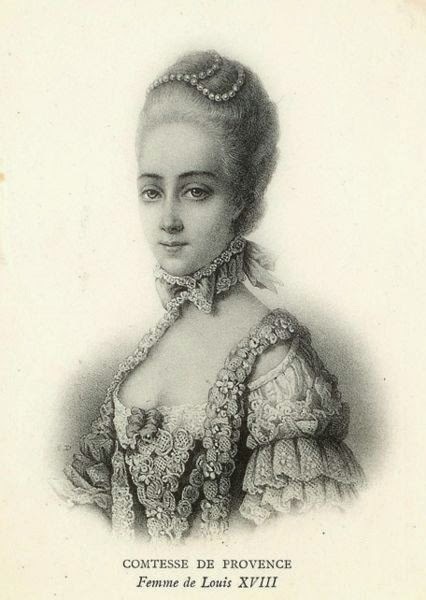 Marie Josephine became very close to one of her ladies-in-waiting, Marguerite de Gourbillon, and soon rumours spread that the two were a couple. The two women shared a home in Germany while Louis Stanislas resided at the Russian court. 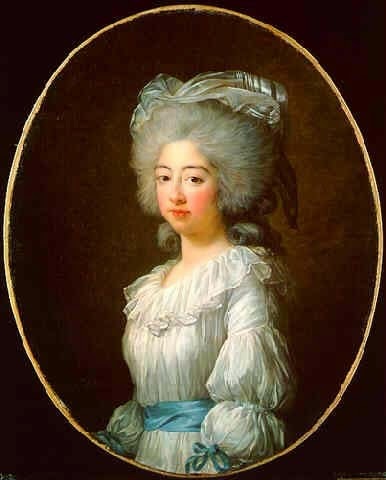 Louis eventually asked his wife to join him for the marriage of his niece Marie Therese, the only surviving child of Louis XVI and Marie Antoinette. They were supposed to show a united front, but instead, Marie Josephine created a scandal. First, she refused to travel without Marguerite. Then, when before entering the palace, the two women were separated, Marie Josephine installed herself in her new rooms and refused to leave them. After this incident, the two women would never live alone together again, although they would continue to exchange loving letters. After the French royal family was kicked out of Russia, they started travelling throughout Europe, before settling, in 1808, at Hartwell House in England. But her travels had taken their toll on Marie Josephine, and her stay in England was plagued by ill health. During her final days, she tried to reconcile with her husband, who remained by her side. She died of an edema on 13 November 1810, a Queen in name only.